The goal of the Karl König Institute is the material, financial and idealistic support of the Karl König Archive, and all the social, artistic and cultural initiatives that emerge from or are connected to the various publications. Particular objectives include building competent working groups to support the editions of Karl König’s legacy, following up and deepening research directions, and promoting research by spoken and written word and through activities. The Karl König Institute for Art, Science and Social Life is a non-profit organisation, registered in Berlin, Germany, and responsible for managing the Karl König Archive, related publications and the book catalogue. The institute’s primary tasks are to support and co-ordinate the Archive, including editing, publishing and together with partners around the world, promoting both existing and new editions of Karl König's work. Any donations which are not specifically designated to individual projects are used solely for this main purpose. Encourage and implement international networking and co-operation with initiatives and institutions that have similar aims. Dr Karl König was an Austrian born paediatrician-physician, author and lecturer. He began his work at the Institute of Embryology at the University of Vienna. 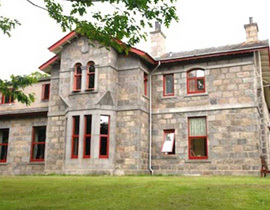 In 1940, he founded the Camphill Movement, in Scotland, now an international initiative of therapeutic intentional communities for those with special needs or disabilities, as also based on the educational principals of Rudolf Steiner. His ideas, work and publications in a range of subject areas are highly acclaimed around the world and have been the inspiration for many initiatives over the years. Below is a short extract from Karl König's address on May 7th 1964 at the opening ceremony of the Camphill School Föhrenbühl at the Lake of Constance about the Purpose and Value of Curative-Educational Work. A Friends Association supports the Institute with donations and regular membership contributions, assists with fundraising and many other tasks. Kurt Becker was the initiator of the Association of Friends and he has been a board member of the Karl König Institute since 2010. New members are always welcome. As part of the institute’s primary responsibility, Karl König’s biography, work and the original documents are not only made available for research and study, but also to present his many essential and varied impulses and encourage discourse. Indeed, his work are just as relevant today as they were then. a practical and contemporary understanding of Rudolf Steiner's anthroposophy. To this purpose we intend to bring the fruits of Karl König's work and striving newly into the public eye. The work he began needs to be made more available for practical fields of life. As such, we also regularly organise and support exhibitions, publications, talks, and seminars. Access to the archives is essential. We value the members of our Circle of Friends very highly! They are our supporters – financially, ideally and practically (and in any combination of the three!) It‘s easy to join us – you can choose your own contribution from a minimum of €50 per year which can be paid monthly, quarterly or annually. In return we will send you our Newsletter that is published twice each year in addition to monthly updates by email; we will let you know about events, publications and other interesting things and you will be invited to our Institute gatherings. And we are always interested to hear from you! Just fill in the application form and you are a Friend! La responsabilità per l’opera di Karl König impone, per carattere peculiare e varietà, di mettere a disposizione non solo la sua biografia, la sua opera e i documenti originali per la ricerca e lo studio, ma anche di presentare i suoi considerevoli impulsi validi ancora oggi mettendoli attivamente in discussione. In questo senso le sorgenti del lavoro di tutta una vita di Karl König vanno nuovamente divulgate con pubblicazioni, conferenze, seminari, aggiornamenti, mostre, e vanno messe a disposizione per gli ambiti di vita pratici. Accesso e contatti agli archivi vanno resi possibili. Zodpovědnost za dílo Karla Königa nespočívá jen v závazku vytvořit dostupným jeho životopis, dílo a původní dokumenty pro výzkum a studium, ale představit také podstatné a rozmanité impulsy jeho práce. Ty přinést do současné diskuze a ukázat, že jsou dnes stejně platné, jako byly tehdy. pro praktické a moderní chápání anthroposofie Rudolfa Steinera. Proto máme v úmyslu zveřejňovat výsledky práce a působení Karla Königa zájemcům. Je nutné, aby dílo, které König započal, bylo dostupnější praktickým oblastem života. Proto plánujeme pořádat výstavy, besedy a semináře a vydávat publikace. Zpřístupnění archiválií bude patřit k základním krokem. Prosím, neváhejte nás kontaktovat. Dr. phil. 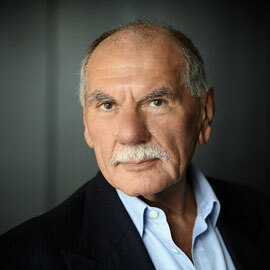 Kurt E. Becker, journalist, communication expert and executive coach, co-founder of the Karl König Institute, publisher of 10 volumes "Rudolf Steiner Selected Works", Frankfurt am Main: 1985, as well as editor and author of more than 40 books on questions of being human in our time. 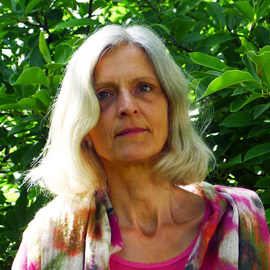 Born in 1960 in Germany; teacher and educationalist (M.A. 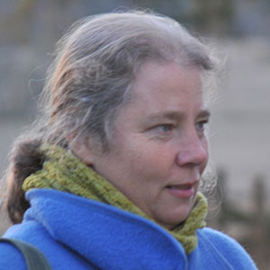 ); Camphill Seminar in Aberdeen, Scotland; worked and lived for many years in Camphill, Scotland; teaching at the Bodensee Camphill Seminar and at the Waldorf Education Training in Berlin; in the past member of the Council of Camphill Scotland and the Board of the Camphill Village Community Hermannsberg; presently Vice-Chairperson of the Karl König Institute; offers workshops on Karl König's plays regularly. 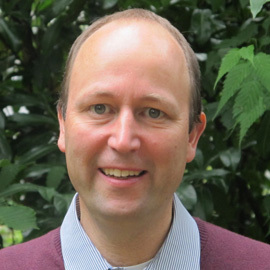 Cornelius Pietzner: serves as Co-Director of Mind and Life Europe. 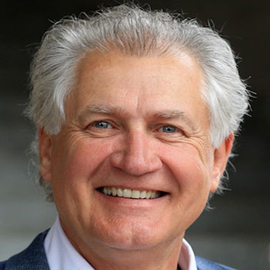 He is Chief Executive Officer of Alterra Impact Finance GmbH, an impact investment firm near Basel and President of the Alterra Foundation, a Swiss charitable foundation that supports transformation initiatives related to a human-centered economy. He served on the Executive Board at the Goetheanum, General Anthroposophical Society, Switzerland with affiliates in 90 countries between 2002-2011. He has had leading roles in social impact enterprises, financial management, philanthropy and investments. 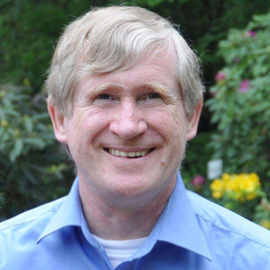 Cornelius Pietzner serves as Trustee/Advisory Board on a number of organisations and foundations in the USA and Europe. Between 1992 and 95 he worked in several Camphill Communities in the US, mainly in Minnesota and Pennsylvania – including one year training in curative education. Afterwards medical studies and activities as a doctor in internal medicine, psychiatry, psychosomatics and child and Youth psychiatry. 2013 Co-founder of Meander Youth Services, where he works as a managing director and therapist. He has great interest in bringing together social, ecological, psychological and spiritual issues - in this respect he has great interest in Karl König. Dr. med. Konrad Schily, medical doctor, specialist in neurology and psychiatry, co-founder of the Community Hospital Herdecke, founding president of the University of Witten / Herdecke, co-founder of the European University Foundation, Luxembourg, member of the German Bundestag 2005 to 2009, Consultant and supporter in the development of the Medical University of Brandenburg. Author, art historian. After high school two years in Camphill, in Copake, USA and Pitten, Austria. Then degree in English and Art History, 1991 - 1999 self employed at the Von der Heydt-Museum Wuppertal and coworker in the education center Hof Kotthausen near Wuppertal. 2001 – 2012 Lecturer at the Artaban School for Artistic Therapy in Berlin. Collaboration with the Karl König Institute since 2013. Richard Steel studied Linguistics, and then completed a training at the Camphill Seminar for Curative Education in 1975. 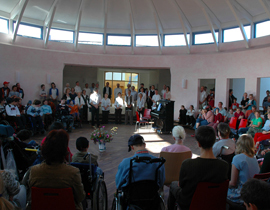 He lived and worked with his family in a Camphill community for children and youngsters with special needs in Germany until 2008. Since then, he has been in charge of Karl König’s literary estate and founded the Karl König Institute. Richard is a speaker and poet, and is responsible for the new edition of Karl König’s written works. He has been involved in establishing a Camphill life-sharing community with elderly people in New York State. He is managing director of the Karl König Institute und runs its office in Kleinmachnow near Berlin. Born in Schwerin/Germany. Degree in Cultural Studies in Berlin. PhD in art history in 1995. Lived in the US for several years, working in various Camphill communities. Numerous articles on various topics. Published two books about the Holocaust: “Alfred Bergel Skizzen aus einem vergessenen Leben“, 2014 (English expected 2019), “Marianne Brandt”, 2018 and Robert Fisch „Licht vom Gelben Stern“, 2016. Since 2010 responsible for archive and research in the Karl König Institute. 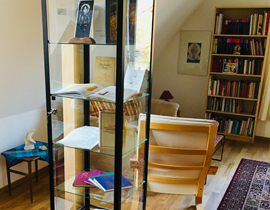 Since 2017 part of the editing team at the Rudolf Steiner Archive, Dornach, Switzerland. 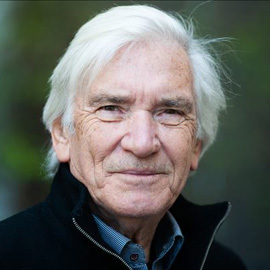 Winfried Altmann studied German and Philosophy in Marburg and Munich, Germany, after which he worked for the publisher Verlag Freies Geistesleben. 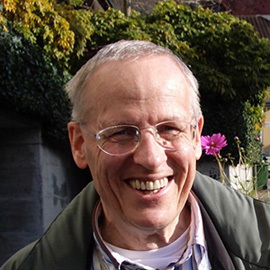 In 1974 he began working for the publisher Urachhaus in Stuttgart, Germany, and from 1994 for the Rudolf Steiner Verlag in Dornach, Switzerland. He has now lived in Berlin since 2009, and is a member of the Karl König Institute, where he is responsible for printing and design. He has been involved with the subject of Kaspar Hauser since the 1980s, when Johannes Mayer’s comprehensive Kaspar Hauser documentation was published by Verlag Urachhaus. Born and bred in southern England, John joined Camphill at Ringwood in 1963 during a break from social sciences studies at Leeds University and followed the Curative Education Seminar at Camphill Schools, Aberdeen. 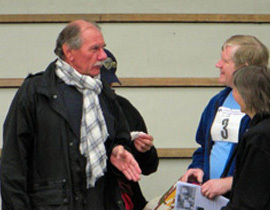 In 1968 he moved to Perceval at St-Prex, Switzerland, where he helped build up the remedial school as teacher, shared a rich community life and married with four children, until in 1993 he moved to Romania where, with his second wife, they lead an initiative for inclusive social development. 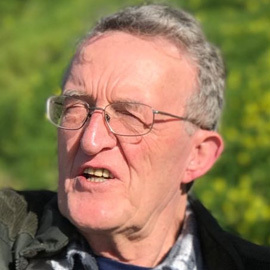 Since 2014 John has assisted in developing the Camphill Archive. Born in New Zealand. 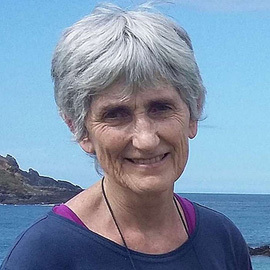 After graduating from university she travelled to the USA and UK and joined Glencraig Camphill Community in Northern Ireland in 1972, where she was a carer and teacher for nine years. 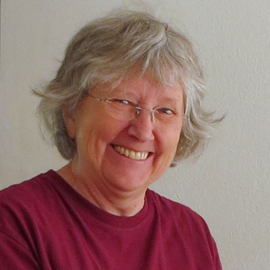 Cherry was active in building up contacts and cooperation among the newly founded Camphill communities in Ireland as the work spread in the 1970s and 1980s. She later moved to other communities throughout Ireland as homemaker, training coordinator and senior coworker. Since 1990, she has lived in Clanabogan Camphill Community. Cherry has a special interest in training, the cultural activities of the community and community development. 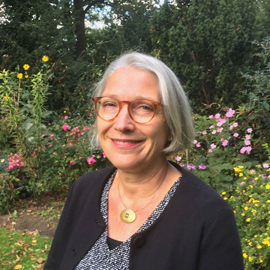 She has represented Ireland at international Camphill groups, as well as supporting the development of anthroposophical social care throughout the UK and Ireland. Since 2014 she has been part of the Camphill Archive team. Born 1947 in Frankfurt / Main, since 1973 in Berlin. Kindergarten teacher, graduate social pedagogue and social worker. 33 years in Thomas-Haus for Curative Education and. speech therapy (Camphill), curative education with small children. Since 2011 free for creative work: puppet theater, felting, arts and crafts. 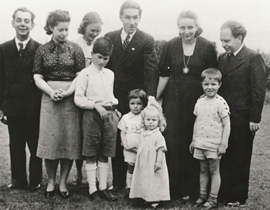 Since 2016 active for the Karl König Institute and still connected to the Camphill-ideals. Location of the association is Berlin. The association shall be registered with the official register of associations of the District Court of Berlin. The financial year is the same as the calendar year. The association solely and directly pursues charitable public welfare objectives within the meaning of the section ”tax-deductible purposes” of the tax law. Objective of the association is the promotion of art, science and research as well as of culture and education. The objective of the association shall be realised by supporting the work of the Karl König Archives and research projects and scientific events evolving out of it. With the specific purpose to work on, examine and develop questions of ethics and ethical conduct, education and general human education in word, writing and deed. Its operations are based on Karl König's research into art, science and social life as found in his literate estate. Art plays an integral part as a medium of ethical development and as a path of practice in social competence. The ongoing process and the results of its operations shall be made available to the public for cultural and educational purposes. This shall be achieved through publications, through lectures, seminars and exhibitions. All research will be published in a timely manner. The association acts on non-profit basis. It does not pursue any self-economic purposes. Resources of the association may only be used for the purposes covered by the statutes. As a matter of principle, all duties within the association shall be performed in an honorary capacity. In deviation from this principle, members of the executive board may be reimbursed for expenses incurred. Reimbursement shall be made in the form of a flat-rate expense allowance or reimbursement for services rendered (e.g. flat rate for services provided in a honorary capacity in the amount of the tax exempt allowance in accordance with § 3 No. 26A German Income Tax Act.) The decisions of the competent elements of the association, the rules and maximum limits of the tax law as well as the financial capacity of the association shall be decisive. Any natural or juristic person who wants to support the objective of the association can join the association. The membership application will be considered by the executive board. A member may resign membership at any time by written notice to the executive board. The general assembly is authorised to exclude a member from the association with a three-quarters majority of votes of the members present. Membership shall expire if the stipulated membership dues have not been paid for two years. The amount of the annual membership dues shall be determined by the general assembly. A general assembly shall be held at least once a year. It shall be convened by the executive board. The executive board may convene an extraordinary assembly if it deems it necessary for good cause. It shall convene an extraordinary assembly within two months, if one quarter of the members of the association demands it indicating objective and reasons. The invitation to an assembly must have been received by the members at least two weeks in advance in writing, announcing time and place of the assembly and the agenda. The invitation to an ordinary assembly shall also include an annual report and information about the number of members. The assembly shall be presided over by the chairman of the executive board, or in case of being prevented by any other member of the board. The annual accounts and the report of activities shall be submitted in writing to the assembly for approval and decision on the release of the executive board. The assembly shall appoint two auditors, who shall not belong to the executive board, to audit the accounts including the annual report and to inform the assembly about their findings. The general assembly shall decide on all matters of the association that are not reserved to the executive board, particularly on changes to the statutes or the dissolution of the association. The general assembly constitutes a quorum provided it was properly convened. It passes decisions with a majority of the voting members present. Changes to the statutes or the decision to dissolve the association require a three-quarter majority of the voting members present. These decisions can only be passed on due announcement in the invitation to the assembly. The decisions made in the general assembly shall be recorded in writing and signed by the person presiding over the assembly and the secretary and shall be approved by the subsequent general assembly. The executive board shall consist of the president, the vice president, the secretary, the treasurer and three additional members. The members of the executive board shall be elected from the members of the association for a period of three years. The board members shall remain in office on expiration of their tenure of office until a new board has been elected. Re-election is possible. In case of early resignation of a member of the executive board the other members of the executive board shall be entitled to elect a substitute to stand in until the next general assembly. The general assembly may revoke the election of a board member at any time; in this case the general assembly shall elect a successor until the next election of the executive board. The president and the vice president shall each have the – sole – power of representation of the association, both judicially and extra-judicially. For the purpose of legal acts with other charitable organisations the members of the executive board may be relieved from the restrictions as set forth in Section 181 German Civil Code. The president shall convene the meeting of the executive board in writing with 4 weeks’ notice announcing the agenda as well as time and place of the meeting. He shall be obligated to convene a meeting within one month if two members of the board demand it. The executive board constitutes a quorum provided three of its members are present. It passes decisions with a majority of the voting members present. The decisions made in a board meeting shall be recorded in writing and signed by the person presiding over meeting and the secretary. In case of dissolution or annulment of the association or the cessation of the current purpose, the resources of the association will devolve upon the following charitable organisation, who shall directly and solely use it for purposes in line with its statutes. „Freunde der Erziehungskunst Rudolf Steiners“ gemeinnütziger Verein, Berlin.